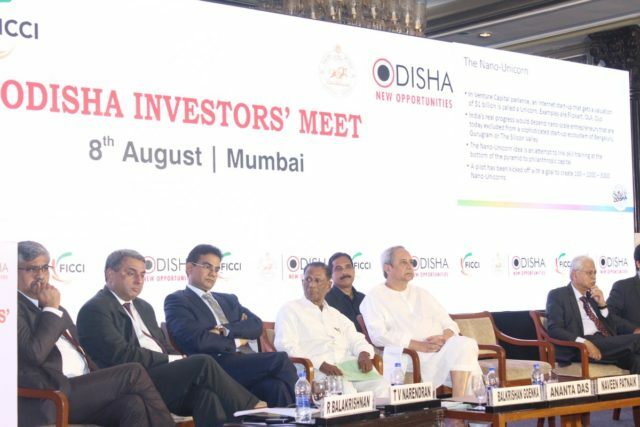 Mumbai: At Odisha Investors’ Meet in Mumbai, Chief Minister Naveen Patnaik addressed industry captains and investors while highlighting Odisha’s steady progress across sectors like skilling, infrastructure, education etc. 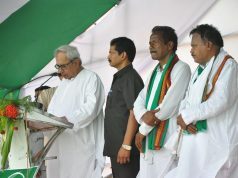 Enumerating advantages and the ease of doing business in Odisha, he highlighted the vast resource base, industry-friendly, result-oriented and responsive governance, supported by the skilled human capital in the state. The theme of #MakeInOdisha Conclave 2018 is ‘I am Odisha’, a celebration of Odisha’s success and accomplishments of individuals whose determination and ingenuity is not just shaping the state’s present but also the future. He invited the business community to be part of the Make In Odisha Conclave 2018 in Bhubaneswar from 11-15 November and experience the countless opportunities that the state has to offer. “I am immensely pleased to be here in Mumbai, the financial capital of India, to meet all of you again. I had visited Mumbai 2 years back for the Make in Odisha Conclave 2016 and had met some of you. I am glad to say our 2016 roadshow resulted in significant investments, which we are closely following up. This location is historical, being the Gateway of India. 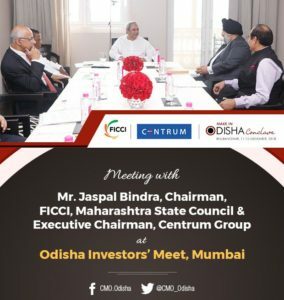 I am here as the Chief Minister of Odisha, to invite all of you to make investment in Odisha, which is fast emerging as Eastern Gateway of India. 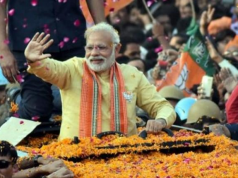 Strength of Odisha lies in its vast resource base, long coastline, assured power and water supply, port-driven development, excellent road network and connectivity, a young and skilled workforce and an industry-friendly and result-oriented responsive Government. The First Edition of the Make in Odisha Conclave, evoked enthusiastic response with announcement of above Rupees 2 lakh crore of investment intent. My Government has demonstrated its commitment to deliver projects on ground. About 65% of the projects are at various stages of approval and implementation. As you are aware, Paradip is one of the largest and fastest growing ports of India. Dhamra port is fast emerging to add strength to the port-led manufacturing base. Apart from these deep-water ports along the East Coast Economic Corridor, we have also approved the first riverine port project of Odisha to be set up on Mahanadi River in Kendrapada district with a capacity of above 45 Million Tonnes per Annum. Moreover, we are developing a chain of 12 non-major ports along our coast, to usher in an unprecedented development in the region. Focussing on the development of Human Capital, my Government has launched the “Skilled in Odisha” program which is coming up as a global brand. I am glad to inform you that a World Skill Center with a 16-floor infrastructure is being set up in the capital city of Bhubaneswar. We are aiming at providing the best physical, digital and intellectual infrastructure to bring transformative human development through skilling of our youth. Odisha has a vibrant start-up ecosystem. Within a few months of launching the “Start-up Odisha” initiative, 250 Start-ups have already been registered in the State. Odisha is poised to be amongst top 3 Start-up Hubs of India by 2020. Odisha also provides a welcoming experience to the investors and expats living here. Propelled by continued reforms in public service delivery, enhanced citizen amenities and a vision for excellence, a recent global survey has ranked Bhubaneswar among the ‘Top 50 Smart City Governments in the world’. 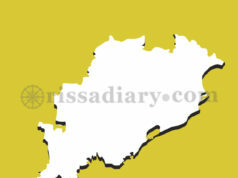 You might be aware that Bhubaneswar was ranked No. 1 in the Smart City Challenge conducted by the Government of India in 2016. I am glad to announce that we are organizing the Second Edition of our flagship initiative, the Make in Odisha Conclave, during November 11 to November 15, 2018 at Bhubaneswar, to showcase the manufacturing prowess of the State and the investment potential in diverse sectors. The theme of Make in Odisha Conclave 2018 is “I am Odisha”, which celebrates all the successes of Odisha and her people in creating a vibrant ecosystem for business in the State. 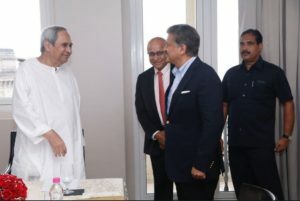 “I am Odisha” will be a unique platform for the people to share their stories that showcase the ‘Odisha of today’ and present their vision for the ‘Odisha of future‘. I extend a very warm welcome to all of you present here today, to come and experience the countless opportunities that my State offers. I assure you of unmatched facilitation support from my Government. I look forward to see you all in Bhubaneswar at the Make in Odisha Conclave 2018.